Obstructive Sleep Apnea (OSA), associated with loud snores, does not seem threatening. This ailment is often dismissed by those who have it as a harmless liability that does not need treatment. Experts say otherwise, and raise questions about its dangers. According to research done by the American Thoracic Society, it increases heart attack risk by 30%. Knowledge about heart attack triggers will rest some fears of those who suffer from OSA. Sleep apnea patients will ask if this annoying malady increases heart attack risk, and by how much, if so. Overweight patients who suffer from both sleep apnea and heart disease will want to know the various ways they can deal with these conditions. Narrowing of the coronary artery, which supplies oxygen to the heart, often causes heart attacks. Plaque, covered by a fibrous cap, is a build-up of cholesterol. When the fibrous cap tears, the body tries to repair it. This forms a blood clot that blocks blood flow, and thus oxygen flow, through the heart muscle. The limited flow damages the heart muscle and causes a heart attack. At times, the clot may not block the artery completely, but is unstable enough to cause angina( irregular heart rhythms). A heart attack may soon follow, because blood clots can grow. If the blood clot dissolves, the body may once again try to repair the torn fibrous cap. However, the clot could once again cause angina and another heart attack. Coronary spasms also cause heart attacks, though they are less known to do so. Exposure to cigarette smoking can trigger these spasms. Doctors also attribute them to extreme emotional stress. The connection between sleep apnea and heart attacks is growing quickly. Whether it is a direct cause of heart attacks is difficult to define, because apnea suffers often have related diseases. This aside, it is quite clear that OSA can lead to them. OSA leads to pulmonary hypertension, or high blood pressure as a result of poor oxygen flow. Blood pressure rises when a sufferer does not breathe during his sleep. This signals the receptors in the brain, which in turn sends messages to the nervous system to constrict blood vessels so that oxygen flow can increase. This may continue into the daytime. Over time, Hypoxia (repeated instances of disrupted oxygen flow) can worsen hypertension. Deprived of oxygen, the heart muscle weakens and a heart attack results. Pressure changes on the neck and chest are definite heart attack triggers. Excess weight pressing on these areas narrows the airway and limits oxygen flow. When oxygen cannot get to the heart muscle, it collapses, setting a heart attack in motion. OSA often leads to increased inflammation in the heart. The less a person breathes during sleep, the more blood clots form. Christina Liak et al reviewed evidence that OSA has links with increased clotting, or coagulation. They went over articles written on the subject between 1990 and the present. They confirmed that blood viscosity, clotting factors and coagulation increase during snoring. A study by Gami et al found that sleep apnea sufferers who died of heart attacks often did so at night. In a new study, his research team tracked more than 10000 middle-aged men and women aged around 53 from 1987 to 2003. 142 of these subjects had cardiac arrest. Gami and his team discovered that the low oxygen saturation that these subjects experienced during sleep caused the sudden heart failure. One of the most compelling studies done on the relationship between heart attacks and sleep apnea comes from the American Thoracic Society. Dr. Naomi Shah of Yale University tracked the health of 1123 patients for 5 years. Over this time, her research team determined how many of them experienced cardiovascular maladies. The research, presented at the American Thoracic Society 2007 international Conference, showed that sleep apnea increased the risk of heart attacks in patients by about 30%. Obesity, a major cause of sleep apnea and heart attacks, does not have to threaten a person’s well-being. Patients can keep these ailments in check with a few simple measures. Portion control is one of the desired ways to beat obesity. This said, the body stores more fat when a person does not eat than if he eats small, light meals more often. He gets the nutrients he needs this way. An exercise routine is daunting, and may seem unmanageable. A sedentary lifestyle, however, is contrary to weight loss. Patients should make time for daily exercise. Brisk walks are a good start, if a full routine is too much. Processed foods like sausages, ham and luncheon meat, filled with fat, additives and sugar, are unhealthy if eaten in excess. Nutritionists strongly advise against taking them when on a weight loss regime. Baking allows a cook to use tender meats and vegetables. Substitute butter with olive or sunflower oil when frying. One way to avoid eating ingredients that are not beneficial to the body is to consume them without additives. Organic, real food has a myriad of benefits. Organic food is dense with the vitamins and minerals that the body needs. A study of 343 reviews of such foods by Charles Benbrook et al of the Washington State University has given weight to this conclusion. As these foods do not have any processed additives or chemicals, they give a person more energy and lower his risk of diabetes. Patients who do not like the idea of being on long-term weight loss medication can turn to natural remedies. For those who can put up with the sour taste, two teaspoons of vinegar in a glass of water can aid weight loss. Not only does it improve the taste of food, it acts as a diuretic to prevent weight gain due to water retention. Other diuretics that substitute vinegar include apple cider vinegar or lime juice. Patients who take diuretics must keep hydrated with plain water. Triphala powder, mixed with ginger or green tea, is a laxative that helps weight loss. It refreshes the membrane along the gastrointestinal tract and aids digestion . Cleaning out the digestive system is helpful for weight loss, because it creates room in the body for healthy nutrients. Spices such as ginger, tumeric and chilies help a person to lose weight as well. Korean researchers fed white mice a fattening diet for seven weeks before giving them ginger for another eight weeks. The mice decreased their fat stores and increased their energy levels. The ginger created thermogenesis(heat generation), which in turn increased their metabolism and weight loss. Ludy MJ et al, in a study published in the Journal of Physical Behavior, found that Capsaicin, the compound in red peppers which gives them heat, causes thermogenesis as well. Chinese researchers from the Xian Jiaotong University found that Tumeric, a ginger-like rhizome used in Asian cooking, has curcumin, a compound which decreases leptin and insulin resistance. These are important precursors to weight loss. Two teaspoons of lemon juice in water can hasten the weight loss process. Lemon, according to many studies, deals with obesity-related health conditions like cardiovascular disease. Honey, taken with lemon juice, decreases weight as well. Though it has sugars, they are not refined. The riboflavin, folate, niacin and other vitamins in it digest these sugars. The 22 amino acids it has increase metabolism and help with calorie burning. Stress reduction can help to fight obesity. Stress contributes to overeating. According to Harvard Health, high stress levels cause the adrenal glands to release too much cortisol. This prompts a person to eat more than he should. It stands to reason that ridding the body of stress will push weight levels down. Stress, according to medical practitioner Dr. John Day, leads to adrenaline (the hormone that causes excitement) excess. 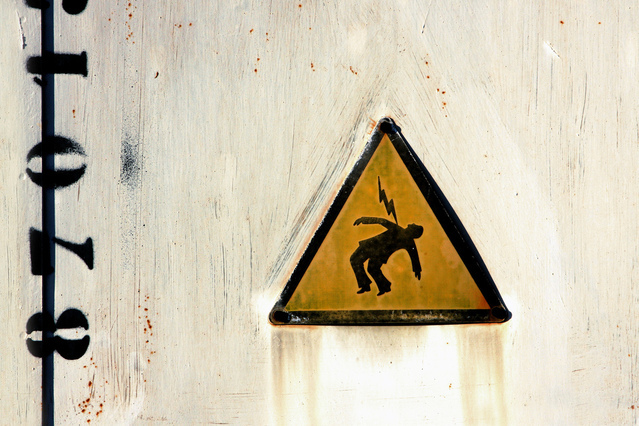 Too much adrenaline causes body systems to wear out. Plaque builds up in the arteries, causing weight gain. Dr. Day also elaborates that stress triggers the thyroid hormone, which slows metabolism. It also retards the growth hormone, causing adults to lose muscle mass and gain fat. Weight loss prevents heart attacks and in so doing, sleep apnea. Other than this, there are measures patients can take to slow its onset. An obvious way to stop a heart attack is to learn to recognize its signs. 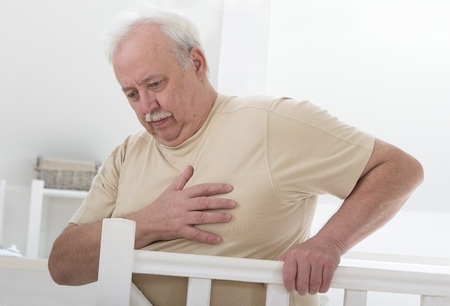 Chest pain is one of the first signs of a heart attack. While men feel the pain mostly on the left, women may feel in anywhere on their chests. According to Rita Redberg, director of Women’s Cardiovascular Services at the University of California, the pain feels like the tightening of a vise. They may also feel aches in their arms, jaws, necks or backs. C. Noel Bairley Merz, MD, director of the Barbra Streisand Women’s Heart Center, shares that patients should report these symptoms, though they may seem atypical. Stomach pains are a common heart attack symptom. Cardiologist Nieca Goldberg, director of the Joan H Tisch Medical Center for Women’s Health, shares that a stomach pain can feel like an elephant sitting on the chest. Consequently, patients may feel constantly tired and unmotivated. Shortness of breath is a heart attack symptom prevalent among both men and women. Goldberg further elaborates that a patient may feel as if he has run in a marathon, though he has not moved. He may experience inexplicable bouts of sweating as well. One obvious, though often overlooked way that patients can prevent a heart attack is to take their medication regularly. Statistics show that 130000 Americans die yearly because they do not follow their doctor’s orders. Doctors prescribe nitrates to relieve chest pains, but these have the unwelcome side effect of reducing daily activity. Patients should alert their doctors if any of their medications make them feel uncomfortable. Red wine, like all kinds of alcohol, has a number of ill-effects. It kills oxygen-carrying red blood cells, a condition known as anemia. Habitual drinking can cause cancer of the liver, breast and mouth. Heavy drinking can clump blood platelets together and form plaque, increasing the risk of cardiovascular disease. It causes Cardiomyopathy, or the weakening of the heart muscle. Taking too much alcohol may also cause cirrhosis (liver damage) or gout ( uric acid build-up in the joints). This said, wine holds benefits for the heart, when taken in limited amounts. It protects the cells that line the walls of the heart from free radical damage. It also improves cellular energy production and prevents blood vessel destruction. Chocolate, filled with destructive refined sugar, may not seem like a substance that can help prevent a heart attack. A study in the BMJ Journal Heart proves otherwise. Researchers tracked the health of 21000 participants and found that those who consumed the most chocolate were 11% less likely to suffer from a heart attack or stroke. Plain chocolate without sugar, taken in limited amounts, does help the heart. Smoking increases a person’s risk of heart disease and stroke, because the tar adds to the plaque build-up in the heart. Alarming statistics show that 46000 people die because of heart attacks resulting from their exposure to second-hand smoke. Visiting a dentist can help to stop an impending heart attack. Dentists can recognize some of its symptoms, including swollen gums and loose teeth. The numbers show that visiting the dentist lowers heart attack risk by 24%. The pressure exerted by the fat build-up on the airway may make it difficult for a patient who suffers from obesity-related heart diseases to find effective stop-snoring devices. Nasal strips and chin straps, meant for people who snore occasionally, are not strong enough to work. More serious snoring problems call for stronger anti-snoring devices. CPAP therapy involves using a mask, attached to a machine that applies pressure on the airway. The pressure keeps it open while a person sleeps. Experts suggest that using a CPAP machine for at least six hours nightly can improve a person’s snoring problems. Having said this, not everyone can adapt to a CPAP mask. It is important to have one fitted before bringing the machine home. To add, some may experience stomach discomfort when the machine forces air into their throats. Simply put, EPAP is air pressure, created during exhalation, that supports the upper airway. A patient who is prone to sudden heart attacks and snores as well will have flaccid throat muscles. These collapse over his airway, causing air to vibrate them noisily as it passes over them. EPAP creates pressure that keeps the airway open. 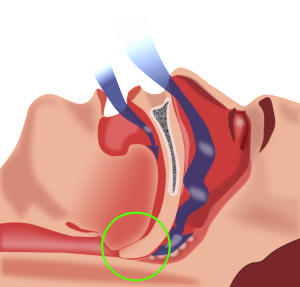 Worn across the nostrils, an EPAP device creates some resistance in the airway. It is a gentler form of therapy that uses a person’s own breath. TSDs may help a patient prone to heart attacks to stop his snoring. This plastic device helps to prevent an elongated tongue from falling back over the airway. Worn on the tongue during the night. the device stops it from falling back. Sleep apnea does increase heart attack risk by about 30%. This said,, a few preventive measures will help a heart disease sleep apnea patient cope with his problems. 3. National Heart, Lung and Blood Institute What Causes a Heart Attack?